Most of the information from the paragliding Porterville sites are based on the Fresh Air Site Guide by Greg Hamerton which can be bought in Porterville. If you are coming to South Africa to paraglide then Gregs' book is recommedned. Sites are listed in order of proximity to Porterville. 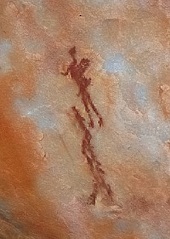 The earliest known humans inhabiting the Western Cape were ancestors of the indigenous San and Khoi peoples who lived throughout South Africa for tens of thousands of years before European colonisation. 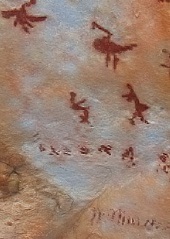 Many examples of rock and cave art paintings illustrating the religious and social life of these people can be found in the Porterville region dating as far back as 4000BC.